HTPC and Home Automation enthusiasts rejoice. 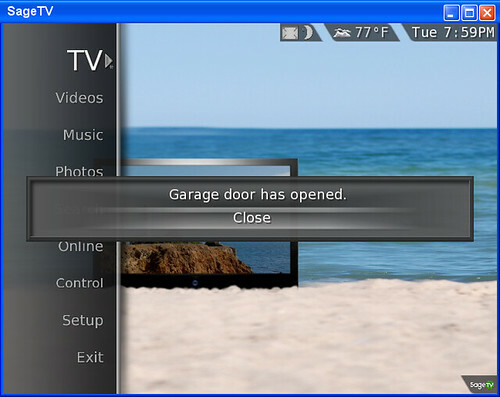 SageTV, the popular multi-platform HTPC now has the ability to control your Home devices such as lights, garage doors, fans or any HomeSeer-connected device right from your SageTV user interface. 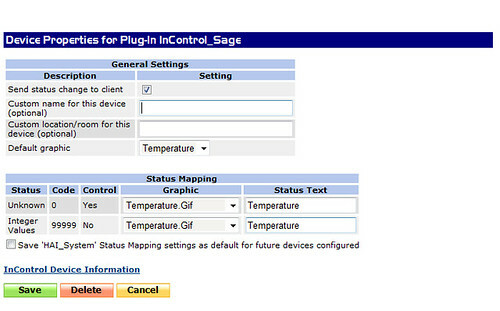 The SageTV 7 plugin, called "InControl" is a HomeSeer 2.0 plugin that provides an interface between SageTV and the HomeSeer, home automation system. 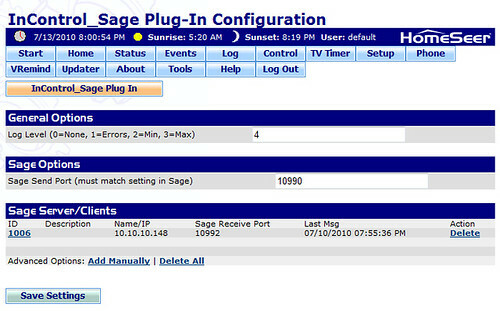 The plugin provides a 2-way, instant interface between SageTV and HomeSeer. 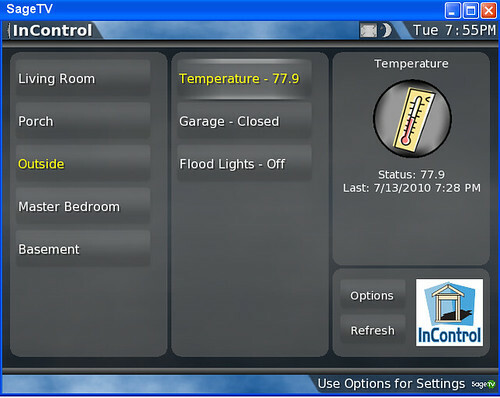 The graphical user interface in SageTV lets you control and monitor all of your HomeSeer devices and provides optional messaging/notifications from HomeSeer to your SageTV user interface. 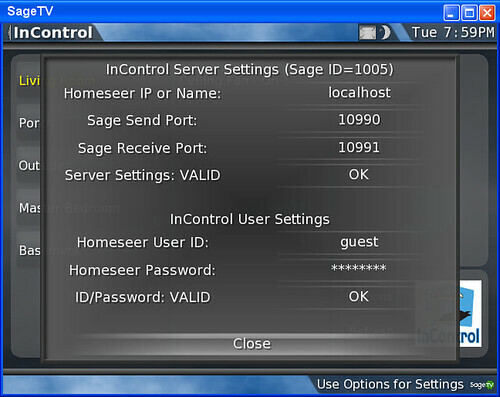 InControl is a $29.95 plugin for HomeSeer and SageTV. It provides a real-time interactive interface between SageTV and Homeseer. With InControl, you are provided with easy to use, graphical interface in SageTV to control and monitor any HomeSeer devices. In addition, you can use HomeSeer to broadcast messages to SageTV. They’ve already put out 2 updates to the first public version which is a good sign that new features will continue and the plugin will be well maintained by the developer.